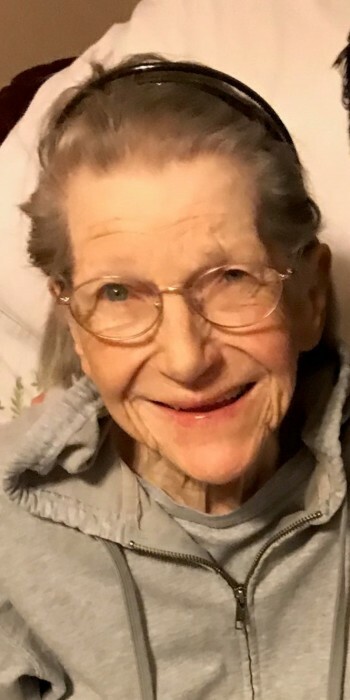 On January 13, 2019 Ida M. Mellor, age 84, of the Glenmont area, went into the arms of her Lord and Savior, at her home following a period of declining health. Funeral services will be 11 a.m. Friday at the Millersburg United Methodist Church with Rev. Diane McCartney officiating. Burial will take place in Killbuck Cemetery, Killbuck, Ohio. Friends may call from 6 to 8 p.m. Thursday at Alexander Funeral Home, Millersburg, Ohio. Those wishing to share a memory or make online condolences may do so by visiting www.alexanderfhinc.com. Born Ida Mae Buren on November 11, 1934 in Glenmont, Ohio, she was the daughter of Emil and Mary (Snyder) Buren. She graduated from Killbuck High School at the age of 16. Ida worked at Rice and Chadwick Rubber Company in Killbuck until she married Delbert D. Mellor on April 17, 1952. He went home to his Lord on May 20, 1997. Ida was a homemaker for most of her life, but was very involved with her community and church. She attended classes at Wayne College when it came to Millersburg, was an EMT with the Holmes Fire District 1, taught Sunday School for many years and was on many church committees. She had been a member of the Methodist Church all of her adult life, first at Shreve Methodist church and then Millersburg United Methodist Church. Surviving are four children, Douglas (Katherine) Mellor of Sioux Falls, South Dakota, Doreen (Jim) Dixon of Big Prairie, Ohio, Lisa (Michael) Bretz of Shreve, Ohio and Julie Mellor (Beriton Fruehling) of Killbuck, Ohio; 9 grandchildren, April (Darren) Towner, Jimmy (Stephanie) Dixon, Opal Dixon (friend, Shane Ault), Delbert (Calihan) Dixon, Jennifer Mizer, Jacqueline (Jason) Ullom, Cherith Mellor, Hope Mellor, Alexandra (Cody) Spradlin; 8 great-grandchildren; and brothers, Donald Buren of West Salem, Ohio, Lawrence Buren of Auburn, California and James Buren of Killbuck, Ohio. She was preceded in death by sisters, Betty Shannon, Evelyn Christopher, Alta Savant and Carol Garretson; brothers, Jack Buren and Robert Buren; and a great-grandson, Boone Dixon. The family wishes to express and heartfelt special thank you to Diane McCartney for her talks and visits with mom, to Pomerene Hospital and Majora Lane Care Center for their care, to Dr. Tejas Mehta for not only being an outstanding surgeon but for being an understanding and compassionate person, and to Deb Lehr for her understanding of mom's philosophy, and time spent with her. They would also like to thank Aultman Hospital and 201 Medicine for their care and compassion and to Dr. Nicole Horn and her staff for the months of care and compassion for mom, and also thanks to special niece, Tina and husband Frank for their love and support.